Use our online patient portal to stay informed with your health information. Manage your health information including labs, medications, immunization records, and much more. We are currently accepting new patients in our wide range of services including pediatric care, primary care & prevention, and women’s healthcare. At 1st Choice Healthcare our goal is to help you and your entire family stay healthy. Log into our Patient Portal to pay your bill online! View your statement and make your payment online through our Patient Portal. At 1st Choice Healthcare, we maintain an open-door policy, providing timely, affordable and accessible medical care to our patients. We accept: Medicare, Medicaid, Private Insurance Plans, Cash or Check, Credit Cards, and Sliding fee/discount payments. We believe that in addition to helping patients when they are sick, we can and should help guide them in making healthy choices for preventive care. 1st Choice Healthcare has 23 providers in our six locations across Northeast Arkansas. To make an appointment, call our office during regular business hours. Please call in advance for non-urgent appointments so that we may schedule a date and time to fit your convenience. Podiatrist Dr. Krystal Upshaw treats foot deformities, sports-related foot injuries, chronic foot conditions, and foot conditions due to illnesses like diabetes. Dr. Upshaw sees patients at all our locations. Had it not been for the care I got at 1st Choice Healthcare getting me stabilized I don’t believe I’d be here today. Your nurses take such good care of my parents. And, the patient education and visit summary is very helpful. 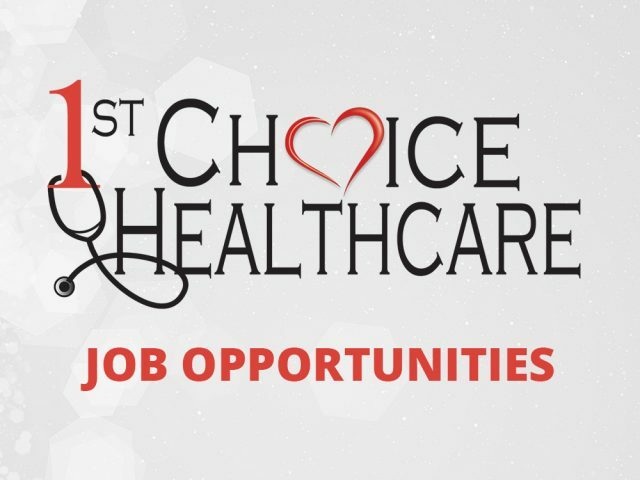 1st Choice Healthcare, a community health center, providing compassionate, affordable health care for all individuals to improve lives and build healthier communities.